Games Can Be Easier, But is That a Bad Thing? Here’s a quick test: does the phrase “Nintendo Hard” mean anything to you? If you’re a gamer that hails from the golden age of gaming then even if you’ve never heard the term before you can probably figure out what it means. The term refers to a time when game designers deliberately made games hard in order to extend the time you spent playing them as budgets were far more limited back then and creating content is never a cheap endeavor. 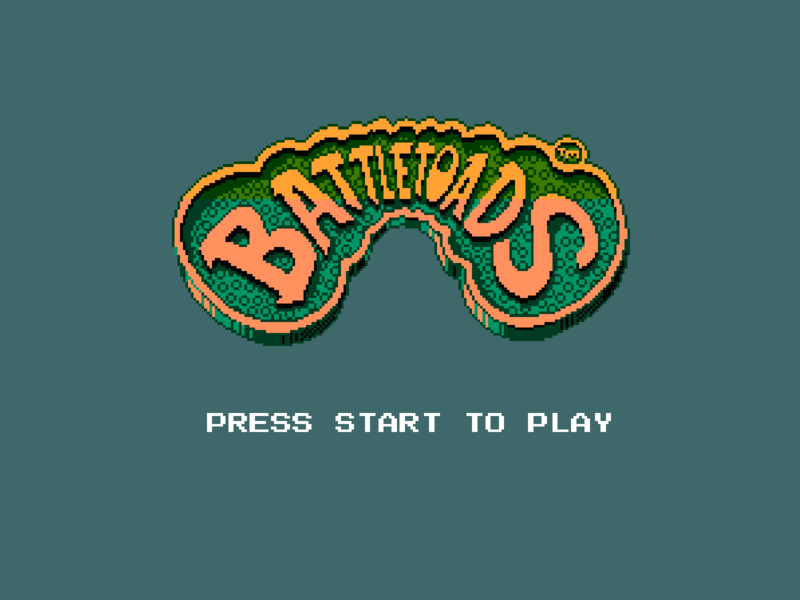 For me whenever I hear those words the first game that comes to mind is Battletoads, a game so difficult that I don’t think I found anyone who had finished it, despite many of us owning it. This extended into many other games and it wasn’t until recently, within the last 15 years or so, that this trend started to abate with games seemingly becoming progressively easier. He also noted that most didn’t understand basic game mechanics such as the run button, or that coins are to be collected and aren’t enemies, or the concept of a bottomless pit. About 70% died at the first enemy, and half of those died at that same spot twice. At first glance this seems to be pretty damning as Mario is a game that is as fundamental as it gets, even when compared to current day indie titles that are incredibly stripped back. Probably the most interesting piece of information there was the upward trend in those who couldn’t complete it which falls in line with the gaming is getting easier narrative. Initially I took this information at face value but after thinking about it more I think there’s a lot more at play here than games simply getting easier. If you take the past 5 years of games and compare them to the same games from a decade previous there’d be a distinct difference in the makeup of the genres, styles and mechanics that made them up. Indeed one of the games that’s seen the most innovation is the platformer and back when Mario was first around they were by far the most common type of game. Today it’s far more likely that a new gamer has grown up on a steady diet of AAA FPS games like Call of Duty or 3rd person action adventure games like Tomb Raider. Not being able to complete Mario 1-1 means doesn’t necessarily reflect poorly on today’s gamers, more it highlights a lack of domain knowledge that your run of the mill gamer just won’t have today. You can see that by some of the comments that those gamers made in the article I quoted, namely them wanting Mario to be armed. It does highlight one particular aspect of gaming that wasn’t necessarily considered fundamental until recently: the tutorial. Now it’s easy to argue that Mario 1-1 contains all the necessary visual clues to teach you how to play it, and I’d agree with you to a point, however tutorials like those are far more effective when your game utilizes the current gaming norms. Due to the wide breadth of game genres now available to gamers today tutorials are almost a necessity as it’s nigh on impossible to rely on current game norms to carry players through it. This is especially true when most of today’s games will try to include some form of unique mechanic to distinguish themselves from the crowd, something which you probably wouldn’t be able to just figure out on your own. So instead of using Mario 1-1 as a benchmark I’d argue that we’d probably need some kind of game mechanic simulator, one that incorporates all the fundamental ideas from the past 2 decades. With this you could see where their domain knowledge lies and then compare them against others who are similarly classified. I can imagine that someone who plays mostly indie platformers would do pretty well with Mario 1-1, but your FPS player would struggle. Over time you could then see if new gamers struggle with these fundamental mechanics instead of just testing their domain knowledge for a specific genre. As for me, someone who’s played hundreds of games over the past 2.8 decades, the trend has most certainly been towards a more friendly experience for players should they choose it. Nearly all games come varying difficulty levels of which the easiest is usually aimed at those who’ve never played that kind of game before. The hardest however still provides a challenge to most gamers and there’s been a resurgence in Nintendo Hard games and difficulty levels for those who seek that next level of challenge. Essentially we’re seeing a much more diverse range of games and difficulty levels that accommodates a larger audience, something that the games industry should be praised for doing. Some might not like this, seeing it as the commoditization of the games industry (parts of which I agree with), but as someone who revels in sharing gaming with as many people as I can I can’t help but embrace it.